On a trip to San Francisco my friend Katie and I arrived in the city around 10am. We planned to stay at Katie’s friend, Kathy’s, house so we stopped by to talk, relax for a bit, and drop off our stuff. 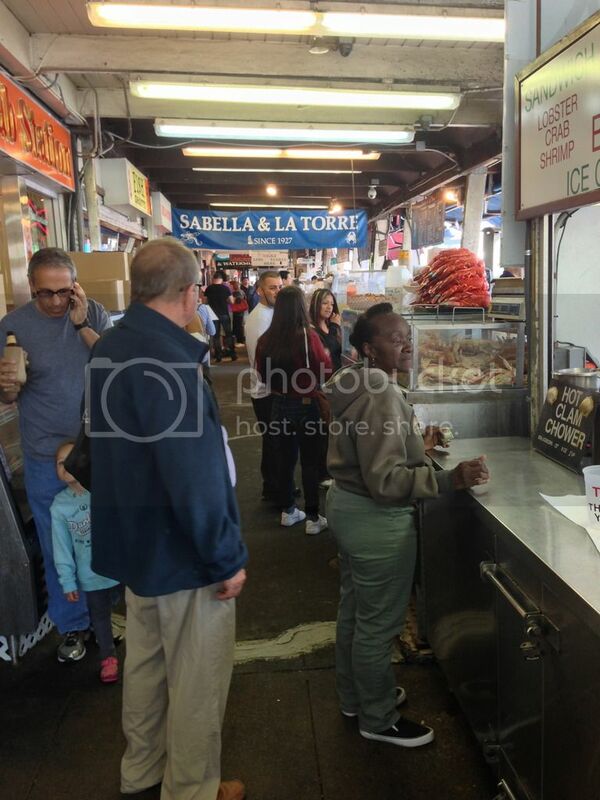 As lunch approached we decided to head over to Fisherman’s Wharf for some seafood. Kathy convinced us to take the bus giving us the bus numbers we needed to take and streets we should get off at. About an hour later we reached our destination. 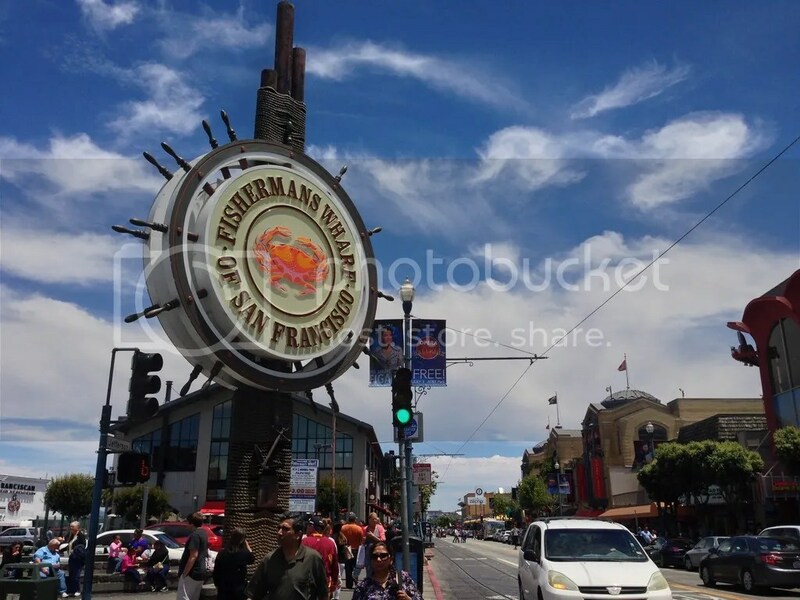 We exited the F Market line bus at Pier 39 and walked the remaining bit toward Fisherman’s Wharf. We arrived at a long strip of seafood restaurants. 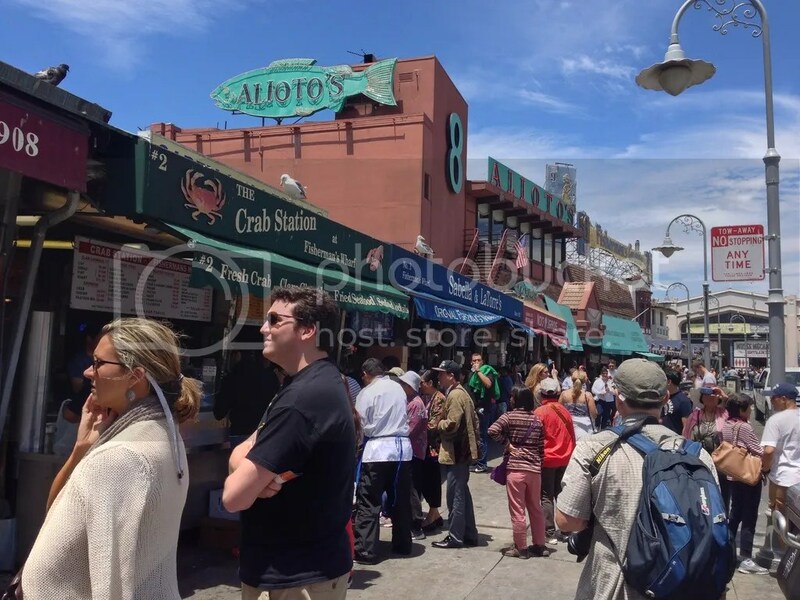 As we walked toward the water we could see numerous people ordering food at all different vendors. Shrimp, crab, lobsters, and clams were swirling around us everywhere. We snuck down the back alley where we could see into the open market vendor’s glass case windows. They all seemed to sell the same things with just slight differences in the ingredients. 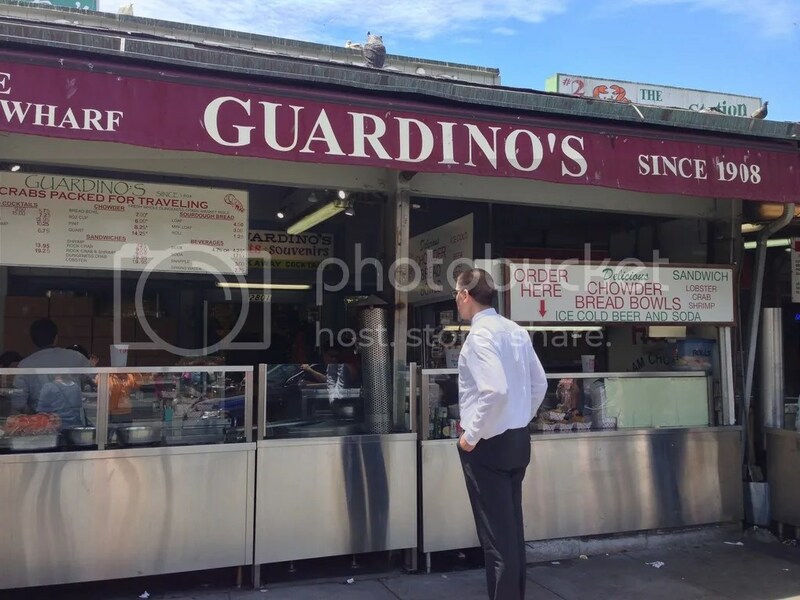 Eventually we decided on Guardino’s due to their huge chunks of lobster we could see on top of their lobster rolls. Guardino’s is at the end of the strip closes to the Fisherman’s Wharf sign. 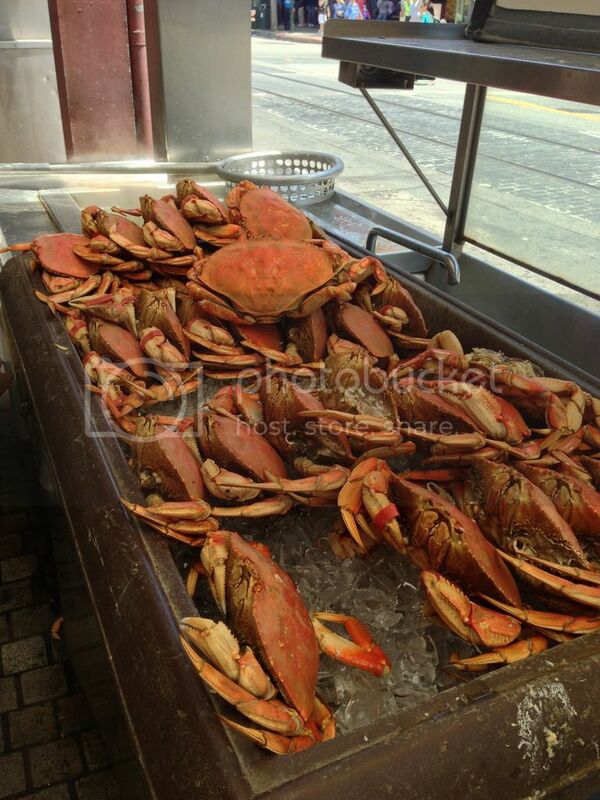 It has been around since 1908 and their seafood is caught fresh each morning including the crabs for their crab legs and clams for their creamy and chunky clam chowder. 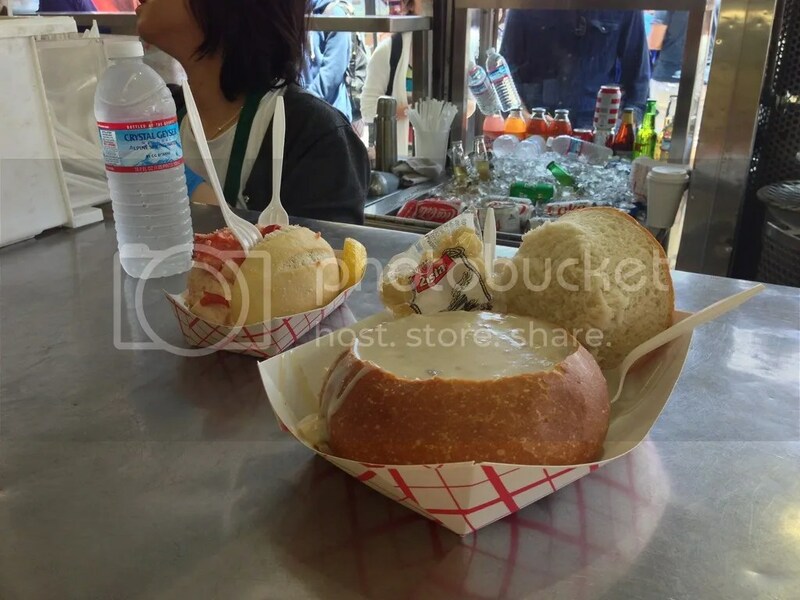 There really isn’t any seating at any of the open markets on the strip, so we ordered our food, a lobster roll and clam chowder bread bowl, and searched for a place to sit. We found a spot to eat by the docks overlooking some boats and birds. We could barely see the birds, but occasionally one would fly past to catch the scraps of fish an elderly lady was filleting and tossing over the edge next to us. 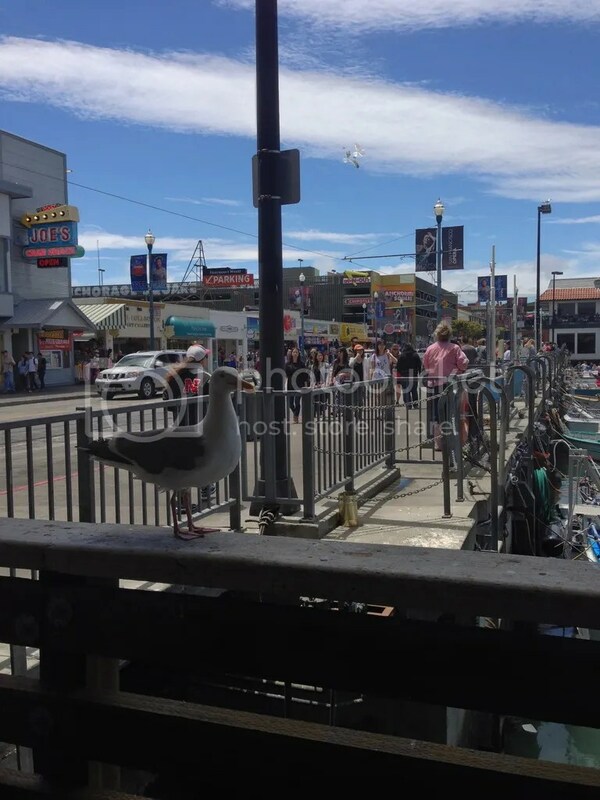 One seagull stood near her for any scraps she might offer or any food anyone else might drop. She finally tossed him a piece and he swallowed it whole. She tossed one more piece and he took off flying away with it only to be chased by three other seagulls. We finished our lunch. The clam chowder bread bowl was delicious! The clams were cooked perfectly, not chewy at all, and the pieces were pretty big compared to most clam chowders I’ve had. We really should have gone back for more. 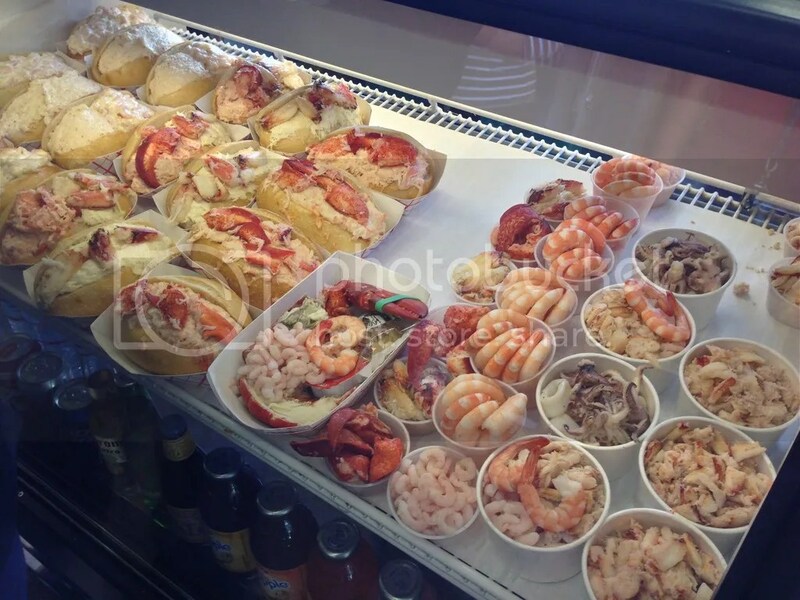 The lobster roll was ok. I’ll give it one thumb up. I loved the huge chunks of lobster on top, but was a little overwhelmed by the mayonnaise, which I am not a big fan of. The bread on both meals were on point, crispy on the outside and soft on the inside. Absolutely amazing rolls. 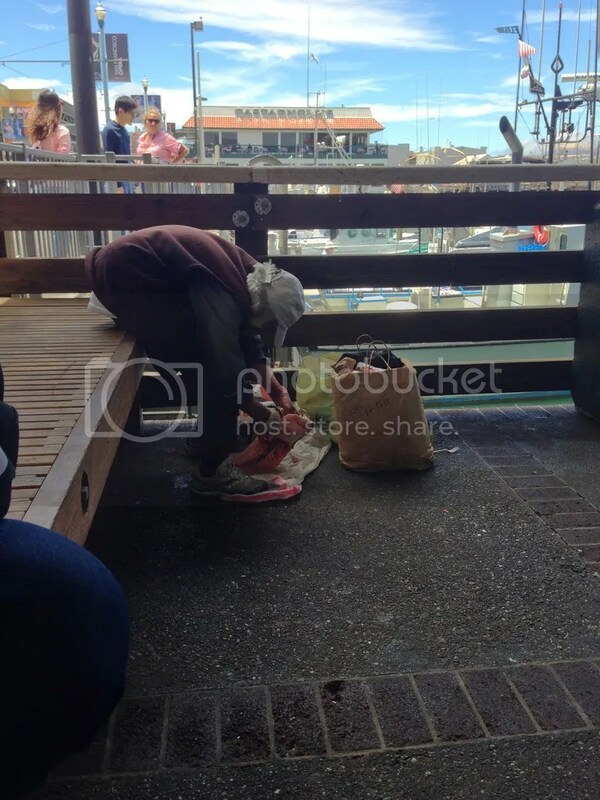 I just love San Francisco and the Fisherman’s Wharf. Now knowing that Guardino’s is there only makes things even better. I hope that I will be able to go back soon to enjoy more of their seafood goodness.